Perhaps the only subject more fascinating than the mysterious world of dreams is the mysterious world of Bob Dylan. Dreaming of Dylan: 115 Dreams About Bob brings the two together for a weird and wonderful romp through the ways the mercurial musical master shows up in our subconscious states. 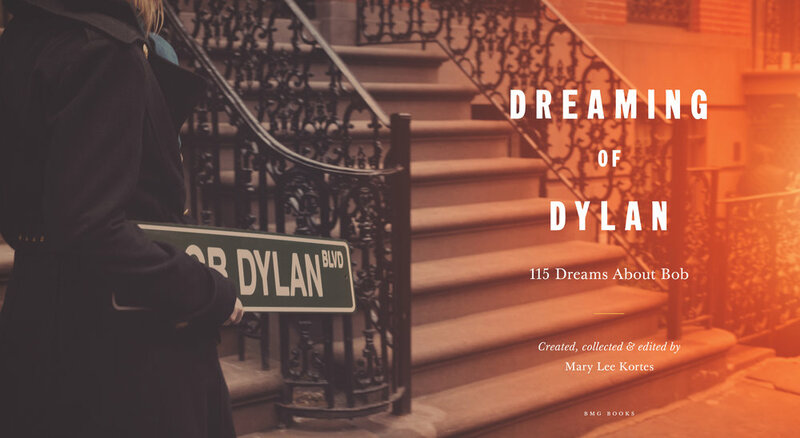 Created, collected and edited by celebrated singer/songwriter Mary Lee Kortes, the heavily visual hardback book, printed on quality art paper and designed as a unique gift item for Dylan devotees, will be released by BMG on November 13, 2018. Kortes’ band, Mary Lee’s Corvette, generated significant buzz after releasing a live song-for-song interpretation of Bob Dylan’s Blood on the Tracks album that captured the attention of the artist himself. 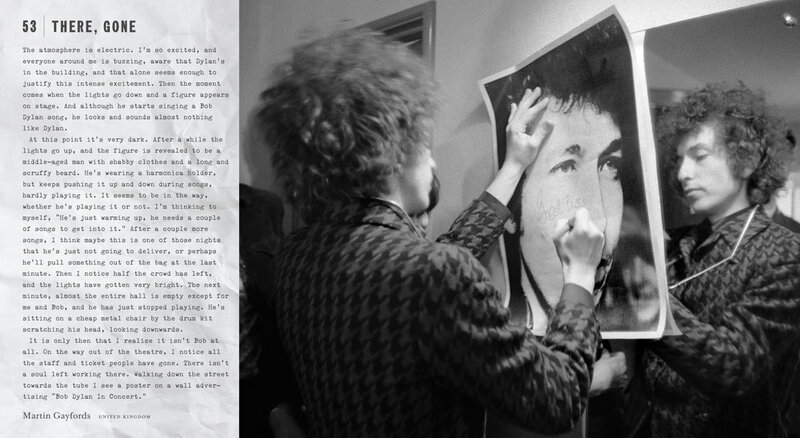 Dylan invited Mary Lee to open shows for him, and she was fully embraced by his devoted circle of fans. I dreamed I had dinner with Bob Dylan many times. One morning it occurred to me that I couldn't be the only one in this world dreaming about him. He’d taken up such wide residence in so many minds. So I started posting a call, here and there, for dreams of Dylan. Over time people began to tell her about the dreams they’d had about Bob, which ultimately led to her curating and compiling this aesthetically engaging off-kilter collection of nocturnal visions. Paired with more than 100 original images, illustrations, and photographs, the collection of dreams will captivate readers in ways they never expected. Bob Dylan once sang “I’ll let you be in my dreams if I can be in yours.” And there are plenty of musical dreamers here, from the incomparable Patti Smith to Squirrel Nut Zippers frontman Jimbo Mathus to Kevin Odegard, whose guitar is heard on the memorable intro to Dylan’s “Tangled Up in Blue,” to renowned drummer Will Rigby. Not to mention the everyday dreamers, from plumbers to poets to pastors, who appear alongside dentists, attorneys, and psychotherapists. Some dreams are poignant; some are disturbing; some are touching; and others are nothing short of bizarre. Taken together they’re an enthralling look at what the famously enigmatic singer/songwriter represents in the deepest recesses of our minds. You may have read books about Bob Dylan, but you’ve never read a book like this. Like a great Dylan song, you’ll return to many of these passages again and again to untangle their rich layers of meaning. Or simply to have a little fun. Author Mary Lee Kortes is a musician and author based in Brooklyn, New York. She has released five albums of original material to wide critical acclaim, each of which landed on the Billboard critics’ top ten list in the year of its debut. Rolling Stone described her voice as “the high-mountain sunshine of Dolly Parton, with a sweet-iron undercoat of Chrissie Hynde.” She has toured the world both as a headliner and an opening act for established artists, including Dylan. Kortes is also a published short story writer. 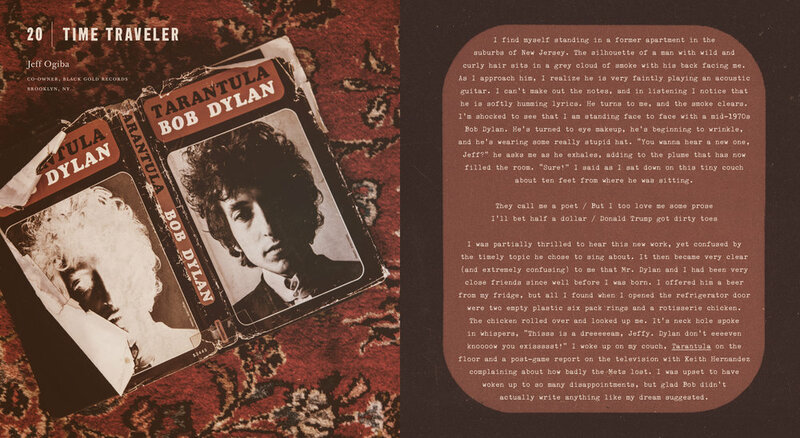 Dreaming of Dylan: 115 Dreams About Bob is her first book. Dreaming of Dylan is available at Amazon.com, IndieBound.org and BarnesandNoble.com. …might best be read in short stints to allow savoring the writing… once the reading does start, it’s hard to stop. Dreaming of Dylan is also that unusual creation that will, much like the best work of the Nobel Laureate, demand regular returns. …Bob-centered imaginings from an international cast of social workers, educators, scientists, economists, filmmakers, lawyers, writers, medical professionals and musicians (including Jimbo Mathus, Patti Smith and Warren Zanes). 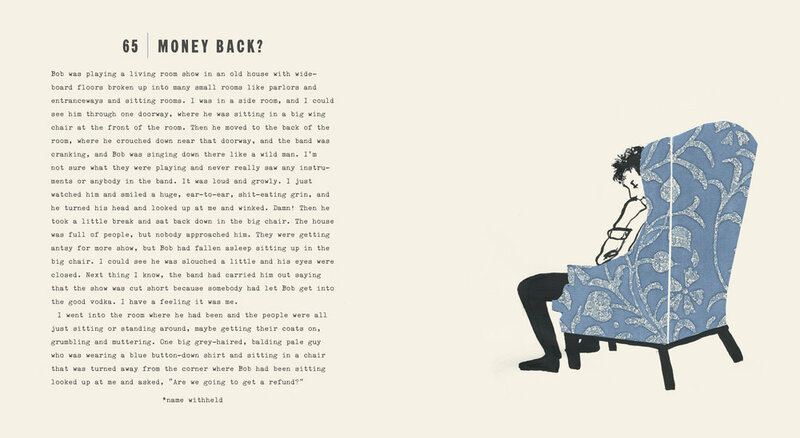 Some are two-line wisps of memory; others laugh-out-loud stories; others, poetically offbeat recollections of dream Dylan retrieving his guitar from a freezer or walking Civil War battlefields.